From Monday ABC2 will begin screening The Tonight Show starring Jimmy Fallon at 7:30pm weeknights. The show will continue to premiere first in Australia on the Comedy Channel at 11pm weeknights, but will screen on ABC2 two days after the US. Head of Programming ABC1 and ABC2, Brendan Dahill said: “Jimmy Fallon has taken the U.S by storm since replacing Jay Leno, and we’re delighted to be bringing his new brand of The Tonight Show into Australian homes five nights a week on ABC2. 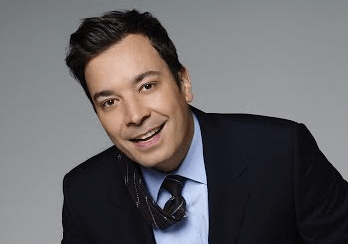 He’s a massive star in the States, and with his offbeat comedy style and a great mix of guests and music, we know our audiences will love The Tonight Show starring Jimmy Fallon”. Jimmy Fallon, well known for his work on Saturday Night Live and Late Night with Jimmy Fallon, took over the role as host of the iconic U.S chat show on February 14, putting his own stamp on the NBC late-night series with his wit, spot-on impersonations, musical talents and pop-culture cred. Joining him on the new look show are his friends from Late Night, announcer Steve Higgins and his incredible house band -The Roots. After years of being Los Angeles based, Jimmy has taken The Tonight Show back to its New York origins where it’s filmed in front of a live audience in the famous Studio 6B at the NBC Studios, Rockefeller Center. The entertaining nightly line-up combines The Tonight Show favourites including A-list interviews; stand-up and musical guests; the famous opening monologue with new regular segments such as ‘tonight show #hashtags’; ‘thank you notes’ and celebrity parlour games. Jimmy’s clips have been known to go viral, with ‘lip flip’ and the ‘lip-syncing’ competitions, featuring some of his celebrity BFFs such as Justin Timberlake, Jonah Hill, Bruce Springsteen, Tina Fey, Will Ferrell and Lindsay Lohan featuring on everyone’s Facebook and Twitter feeds. The Tonight Show starring Jimmy Fallon is a Universal Television and Broadway Video production. Executive Producer: Lorne Michaels. Producers: Josh Lieb and Gavin Purcell. 7.30pm weeknights on ABC2 from Monday March 24. Interesting. I don’t know if I’ll watch but I will try it. I’m glad they’ve got a five day a week show for the slot because it did seem a bit ridiculous to put weekly shows there. As they just burn through them. As for the Daily Show and the Colbert Report being taken away from Free-to-Air. That’s why the government of both stripes are rubbish because it should be illegal for Pay TV to have anything be exclusive except anything they make themselves. Especially overseas stuff. It should be non-exclusive only. Although I don’t object to them having first play rights. Be nice to have Conan back too. This is the best news for free to air viewers. His show based on youtube clips is great!! Good one ABC2. (Note to Tony Abbott: please continue funding). Yes bring on Kimmel too! @MrRampage, yes, I used to watch them both. I can’t do the trick-the-IPaddress-thing, so I would be very glad to have all three shows on ABC2. Do you think T Abbott would give The ABC 9 cents a day?? Maybe??? Yes, there will be a change to Guides soon. @2paw: ABC2 used to have them, until Foxtel threw money at the rightsholders that Aunty just couldn’t compete with. I wish a network would add Jimmy Kimmel. According to abc.net.au/tv/theroast/about/ they’re back on Monday April 8 at 7:30pm. Which is last years blurb and long overdue for an update. I prefer me some Tom Glasson over Jimmy Fallon anyday. This isn’t as unusual and “un-ABC” as you might think. During the 1960s the ABC showed The Ed Sullivan Show and Aunty showed The Beatles’ performances on the show in 1964 which were second only to the Moon Walk in 1969 for ratings in the US. Great!! And can we have The Daily Show and The Colbert Report as well please??? Finally, now what about Conan? Sounds good. Though, I am hoping to have room on my PVR to record it. How does this affect The Roast, which was die to resume in the 7:30pm timeslot next month?